Young and Unemployed? You Shouldn’t Be in This Digital Era! Posted September 17th, 2013 by David Porter & filed under General, Hot Topics, Social. That at least is the uncompromising position spelled out by several people as the economy shows signs of picking up momentum. Jobs have been few and far between for those at both the young and older end of the market spectrum for several years. Now, it seems that the growth is back and some sector shortages may be looming. A new report by O2 suggests that Britain will need 750,000 extra digitally skilled workers just 4 years from now, on top of the 2m who currently earn their living in the digital world. It also points out that if we fail to find them, we risk losing at least £2bn from the economy. That seems to be the key. Are our youngsters being trained at school and after to be digitally literate? The school leaving age is being raised to 17 now and will rise to 18. Students must be in school or in vocational training. Schools are starting to take note of the needs for programmers and designers as much as computer operatives. But it is the business/Government/parent/young adult coalition that will really take up the digital opportunities and up-skill the workforce. 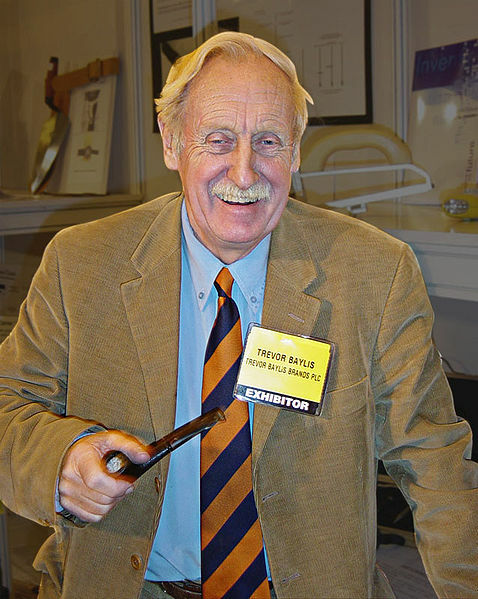 One of Britain’s great inventors, Trevor Baylis, gave the world (particularly the developing world) the wind-up radio in the 1990s and most recently a pair of shoes that charges a mobile phone as wearers walk along. He said ‘Britain needs inventors. You don’t have to be a genius to be an inventor.’ He should be listened to. He has helped over 9000 inventors develop their ideas into real, tangible, sellable products. Baylis has invented a self-weighing briefcase for people who don’t want to be caught with over-heavy luggage on planes and hundreds of products for disabled people. He said he learned as a stunt man in a circus that ‘disability is only a banana skin away.’ The market is enormous. His message is that innovation is the key to Britain’s future prosperity.‘Kids need to put down their mobile phones and start tinkering.’ He wants education groups to start ‘championing the achievements’ of inventors across the ages. The very phones, screens and gadgets that so obsesses young people were themselves invented by somebody in the first place. So he’s right. His remarks should be an inspiring example to everyone.